Alliant provided civil engineering and surveying services for this 25acre medical care facility. We provided site planning, grading, street and utility design, earthwork balancing and hydrologic design. 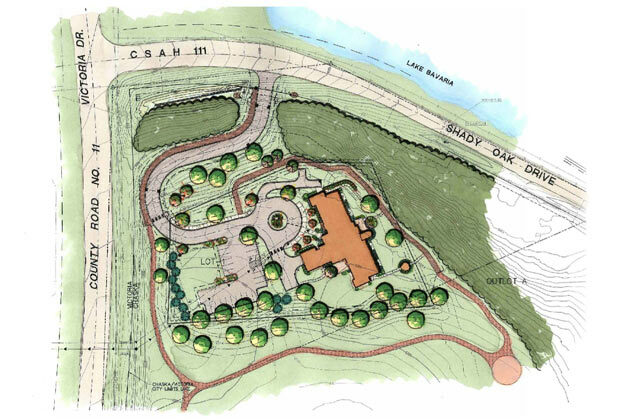 The project site is adjacent to a planned City park and thus required significant design coordination with the City of Waconia. The site received utility services from a neighboring city and that provided additional coordination challenges. The site plan was developed to make best use of the significant topography and provide the facility with views to nearby Lake Bavaria. Because the the site is located in the Minnehaha Creek Watershed District, a stormwater management system that provided storm water runoff rate control, water quality, and volume control was required.